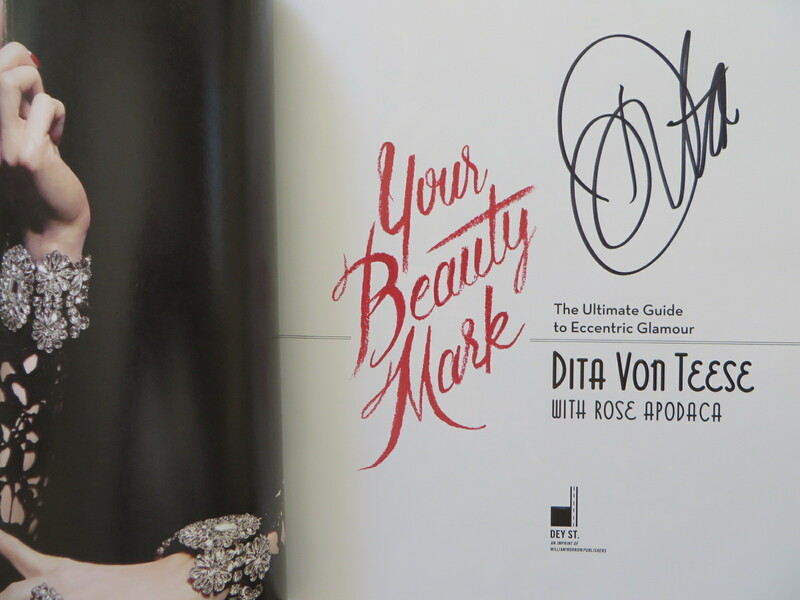 Your Beauty Mark first edition hardcover coffee table book autographed on the title page in black marker by author, actress, dancer, model and fashion icon Dita Von Teese. Obtained in person at book signing, with photo from the signing and certificate of authenticity from AutographsForSale.com. SIGNATURES WILL VARY SLIGHTLY AS WE OBTAINED MULTIPLE BOOKS AT THIS SIGNING. ONLY 4 LEFT.